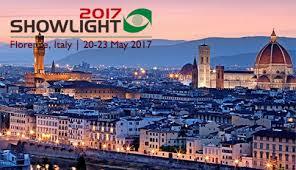 Showlight 2017 takes place this May in the city of Florence, which has inspired artists for hundreds of years. What better setting for the tenth Showlight Quadrennial? Organised by lighting professionals for lighting professionals, Showlight brings together an international audience of lighting people from a broad spectrum of disciplines across theatre, television, film, concert, event and architectural lighting.